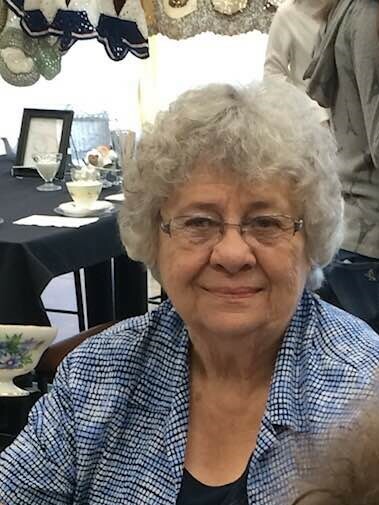 Janice M. Townsend, born in Hardin, MT on February 10, 1941, went home to be with the Savior she knew and loved well, on December 12, 2017. We thank the medical team of the River Bend Comfort Care wing for the excellent care she received. Following Jesus led Janice to Eugene Bible College, where she met her life-long love, H. Paul Townsend. They were married on November 17, 1962. Together, they served as missionaries in Liberia, West Africa for 3 years and the Philippine Islands for 22 years, before settling in Springfield. She loved Jesus, friends, Christmas and family. She collected nativities, tea cups, china and elephant figurines. Janice is truly home for Christmas this year. Janice is survived by her husband, H. Paul Townsend; her children: De'Etta (Michael), Will (Sherri) and Nate (Heather); 14 grandchildren: BreAnne (Izaak), Krista, Josiah, Jamin, Jared (Larissa), Arielle (Cory), Nolan, Alex, Stacia, Matt (Lily), Andrew, Amy, Mikhail and Nadia; and 4 great grandchildren: Harmony, Bella, Gideon and Bennett and several nieces and nephews. A service will be conducted at Calvary Open Bible Church on December 22nd at 4 p.m. and will be live-streamed under the media button at calvaryopenbible.org.